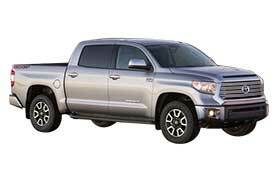 For 2WD: 4X2 Toyota Tundra Prices. 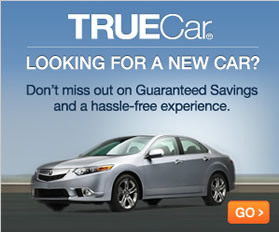 Click on a Trim below to find the price of available options. With its powerful V8 powertrains and wide array of trim levels and options packages, the 2016 Toyota Tundra is versatile enough to offer something for everyone. Available in three different cab styles and six trim levels, it ranges in price from $29,140 MSRP for the most basic trim to $46,530 MSRP for the fully loaded model. Wading through all of the options can be confusing, but each trim level adds features that more than justify the extra cost. Three cab styles are available for the 2016 Toyota Tundra. However, the trim level that is selected affects the available cab styles. For instance, some trims are only available in CrewMax or Double Cab styles. Regular Cab - This configuration features a single row of seats that can accommodate up to three passengers. It has two doors, allowing easy in-and-out access. Double Cab - This cab seats five people, but when the front bench is included, it seats up to six. Two rows of seats provides ample space for everyone, and its rear door is back-hinged for easier access. Crew Max - Like the Double Cab, the Crew Max cab seats five to six--it depends on whether there is a front bench or not. This style features a front-hinged rear door, and it includes extra rear seat space. For 2016, the Toyota Tundra is available in six distinctive trim levels. Each level up adds a variety of features. One exception is the 1794 trim, whose extra features are mostly stylistic in nature. Please note that options packages are available for many trim levels and expand upon the available features considerably. Available in Crew Max cab style only, the main difference between this trim and the Platinum trim is that some special interior and exterior style elements have been added. Therefore, this model has a more distinctive look. Just about every trim level can be further enhanced with various options packages. However, all options packages are not available for all trim levels. With so many trims and options to choose from--and different cab styles and bed lengths as well--finding the perfect 2016 Toyota Tundra full-size pickup truck is easy. The various trim levels also span many price ranges, so there are options for just about every budget. Find the Best Deal in Your Area.